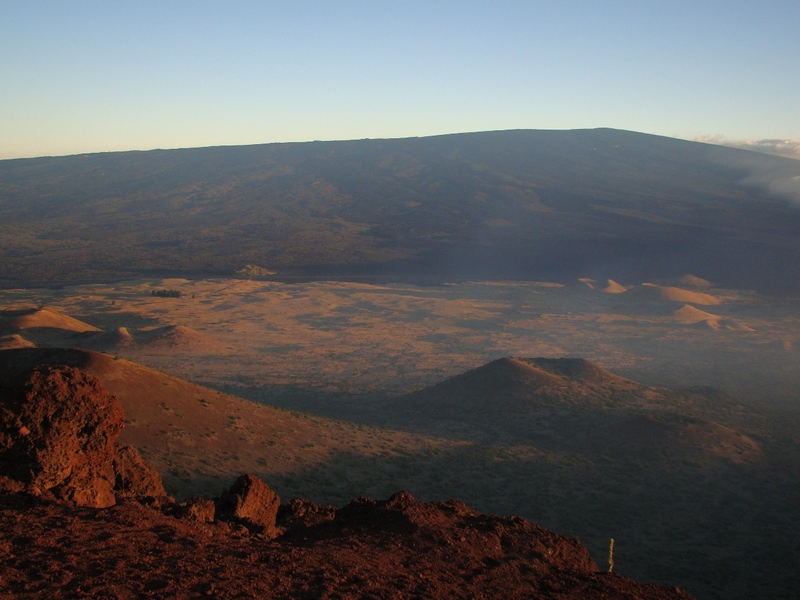 The Hawaiian Islands are a vast open-air laboratory for understanding the evolution of hot spot shield volcanoes. 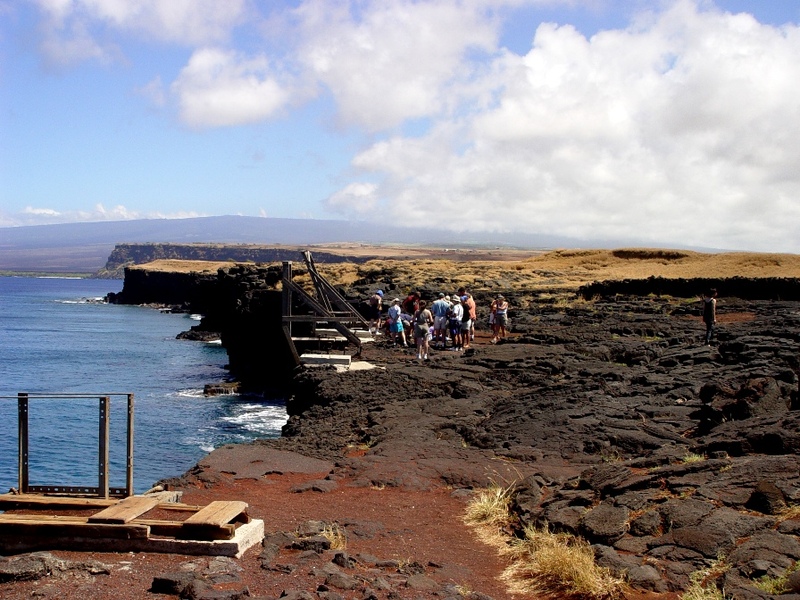 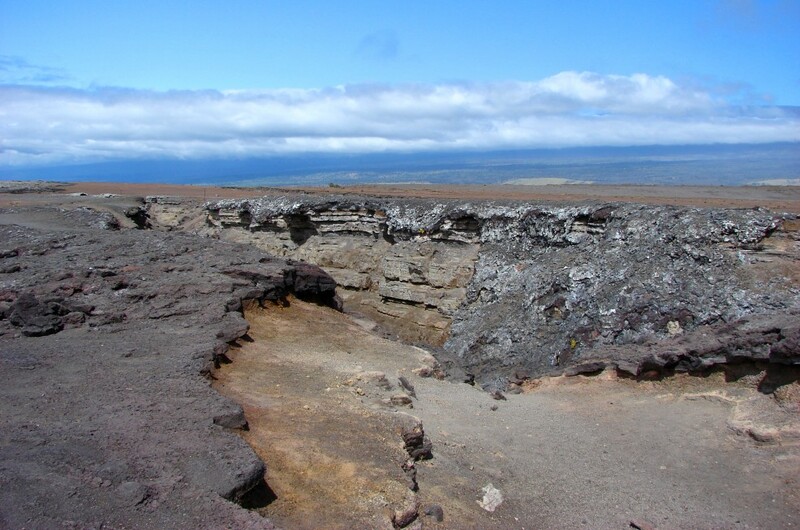 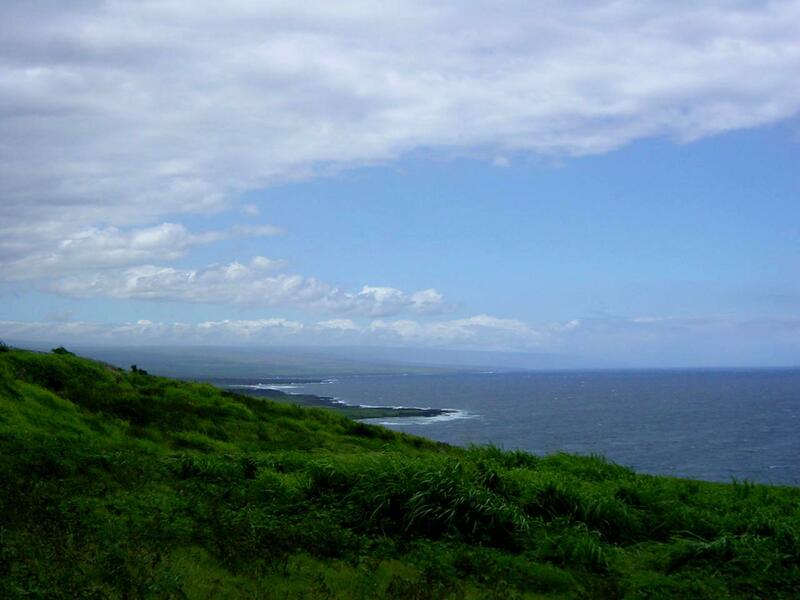 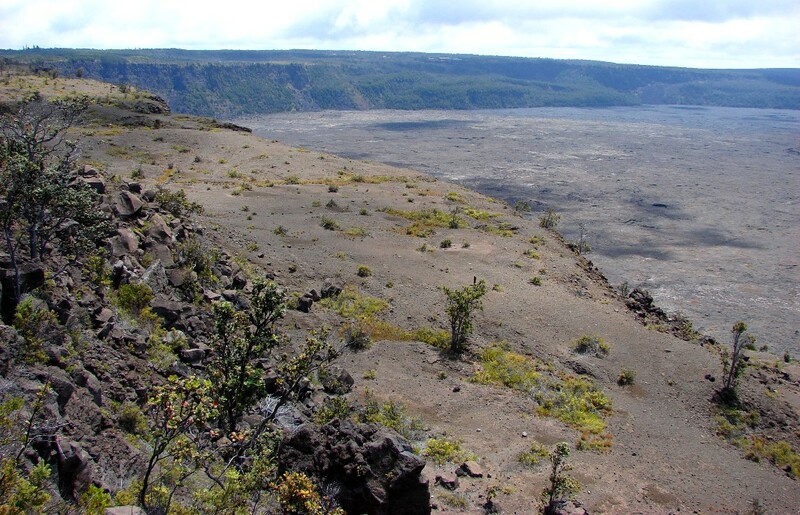 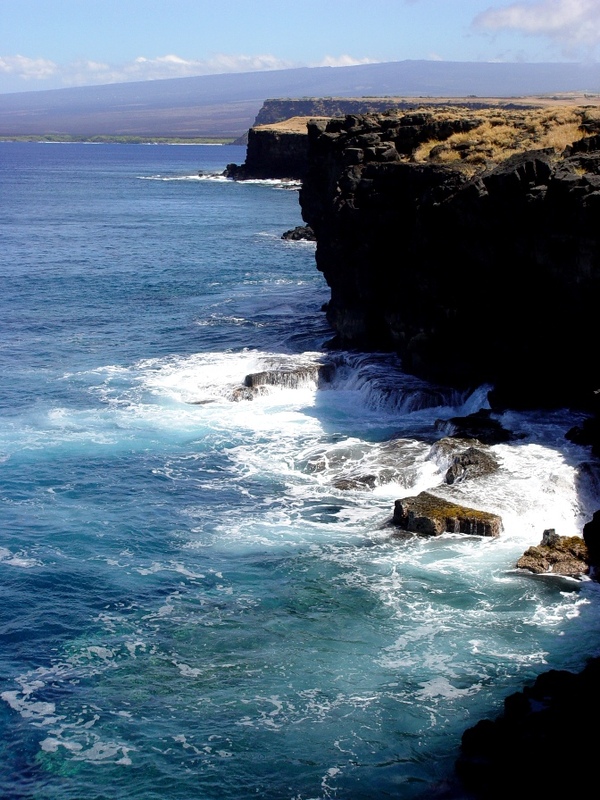 The main islands of Hawai'i (the Big Island), Maui, Oahu, and Kaua'i provide wonderful examples of volcanoes in the shield building stage (this page), and the capping stage, erosional stage, and rejuvenation stage (click link). 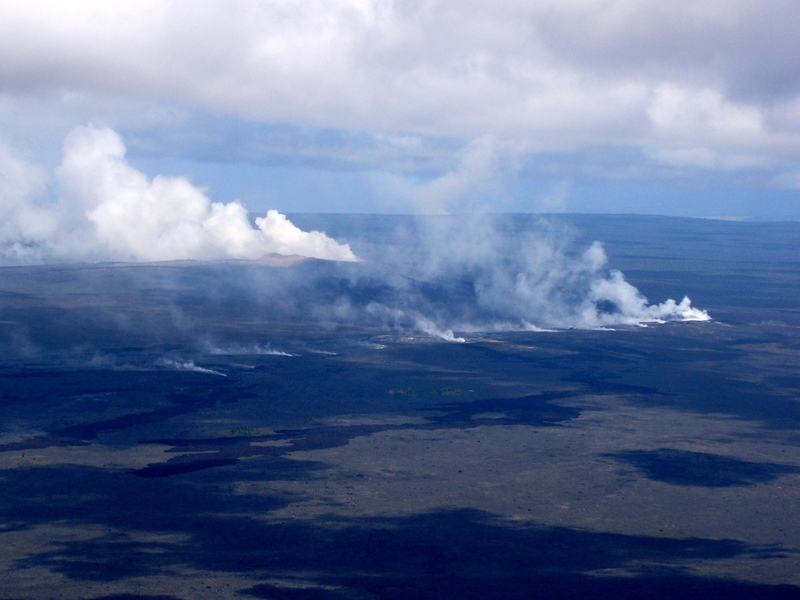 Much of the development of the Hawaiian Island shields takes place underwater, and volcanoes that are exposed today are already three miles high when we see them as islands. 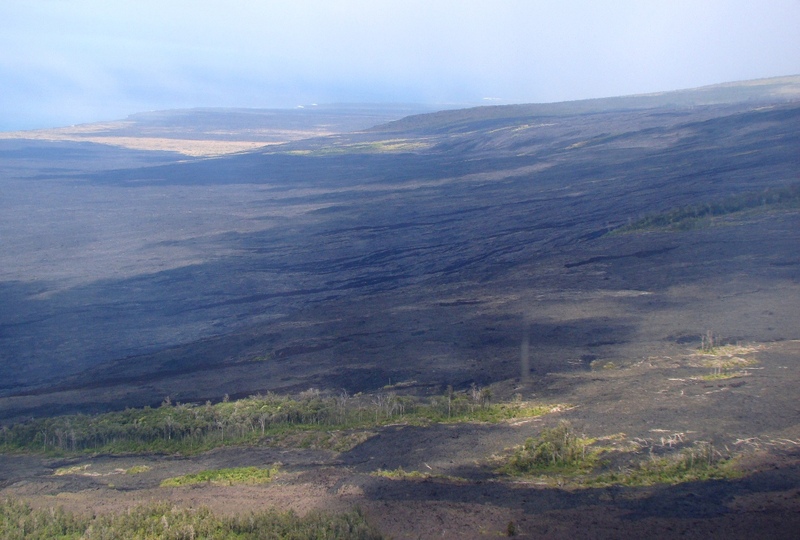 The next Hawaiian shield, Loihi, is already more than two miles high, but will not be exposed for tens of thousands of years. 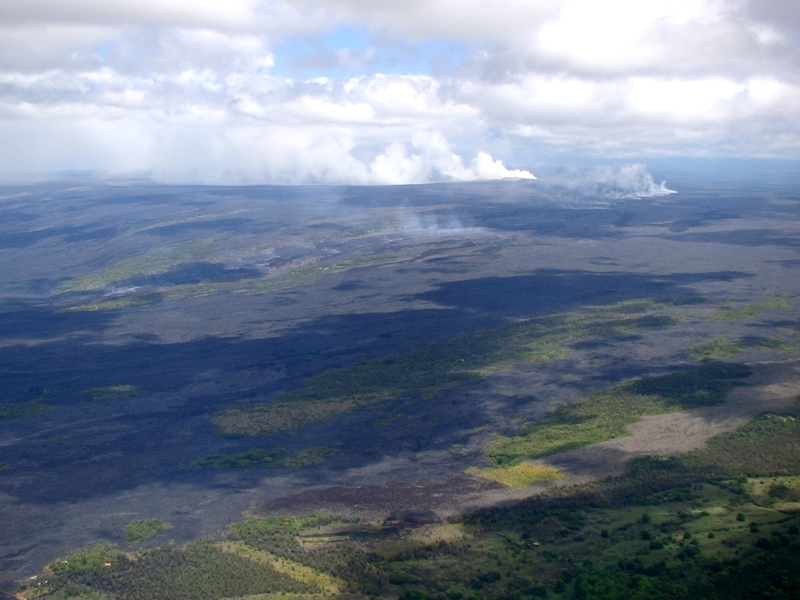 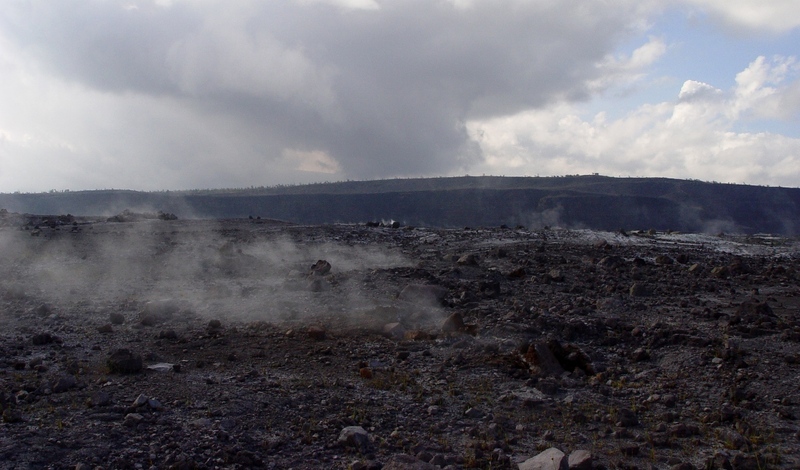 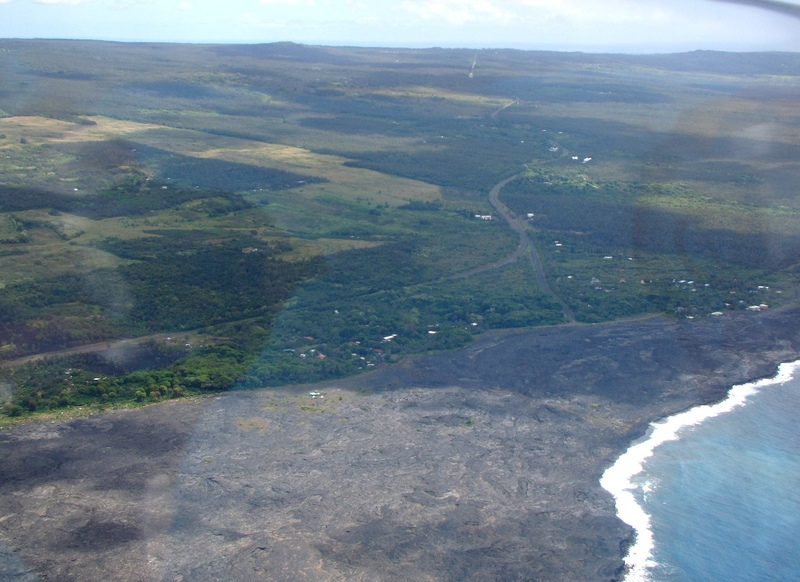 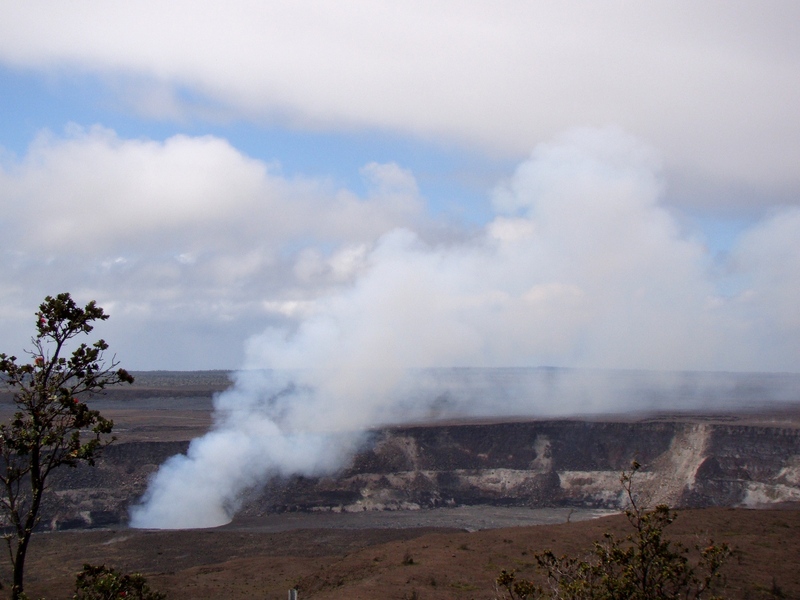 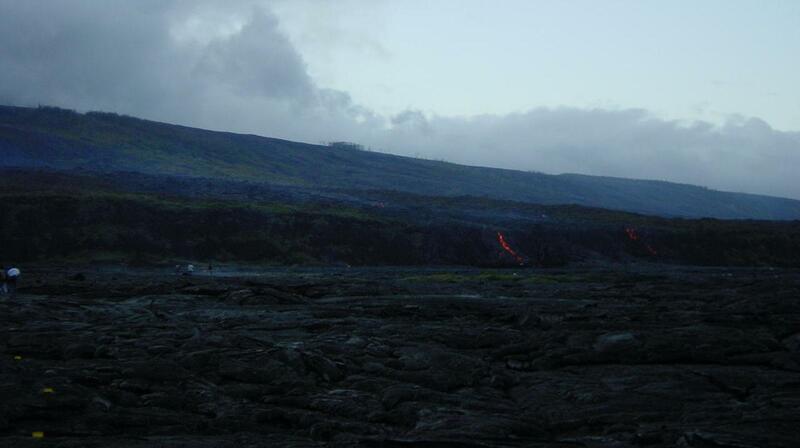 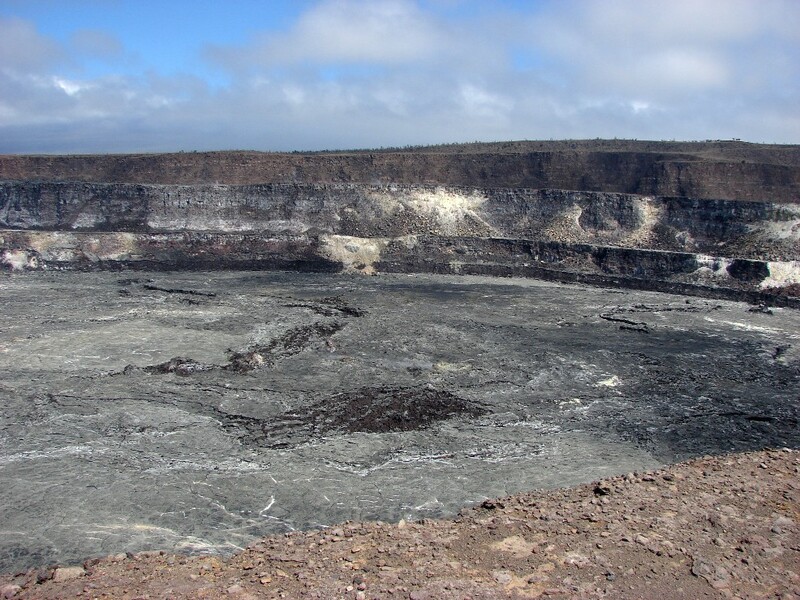 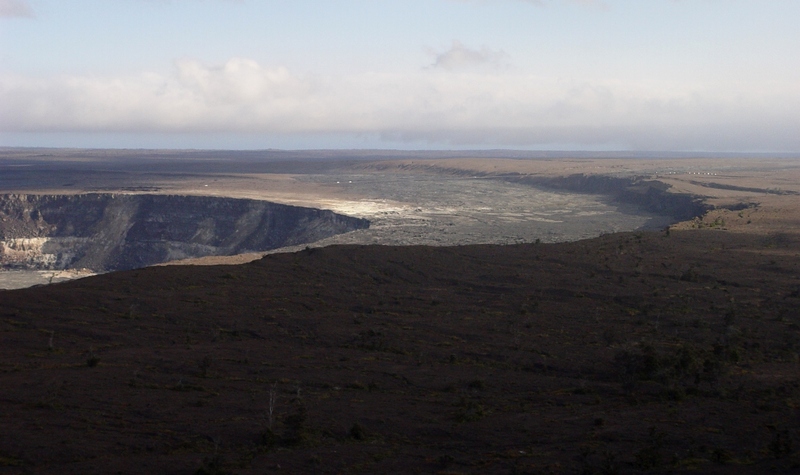 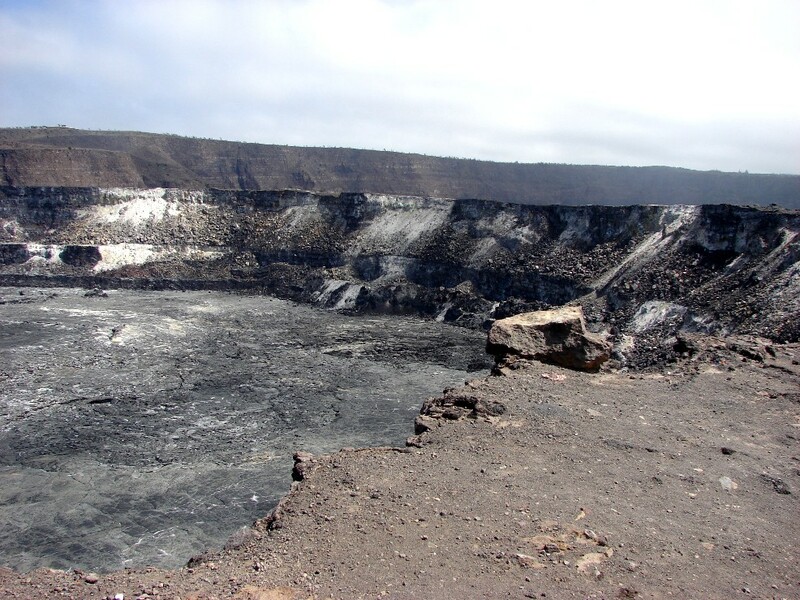 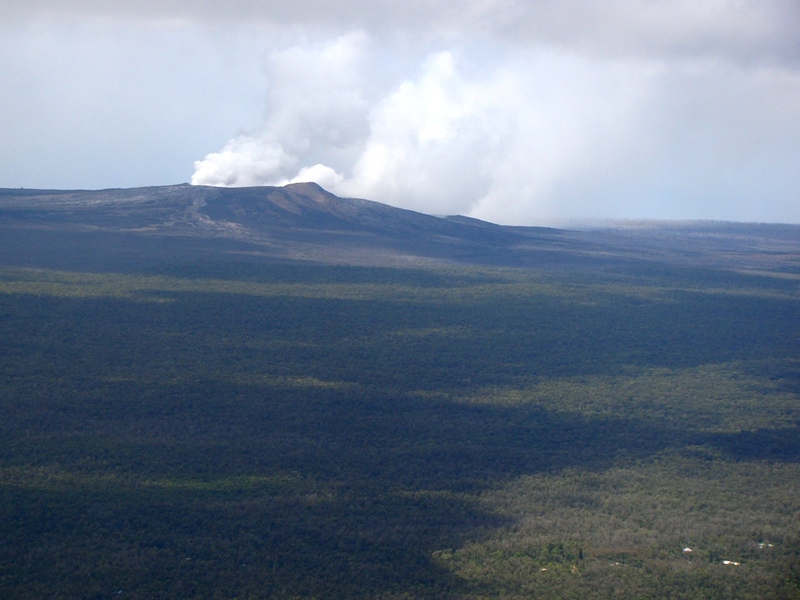 Kilauea and Mauna Loa are the two youngest and most active shields in the Hawaiian Islands. 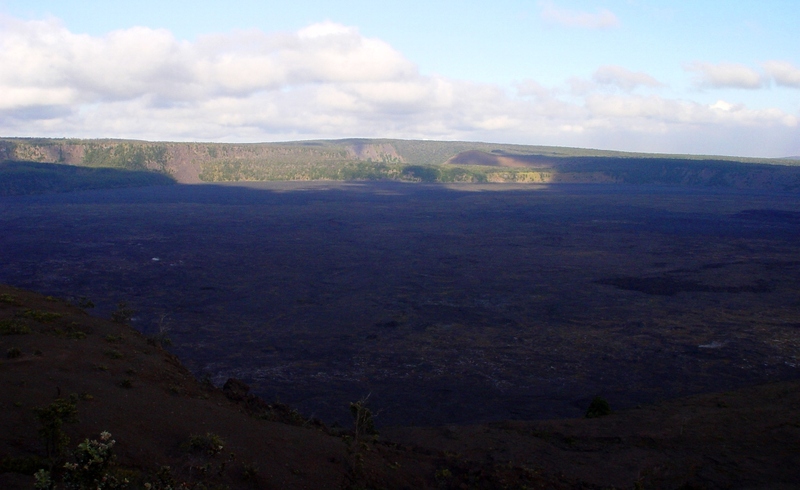 Kilauea is hard to photograph as a distinct entity, being so flat across the summit and with gentle slopes, except where the palis (fault scarp cliffs) interrupt the smooth topography. 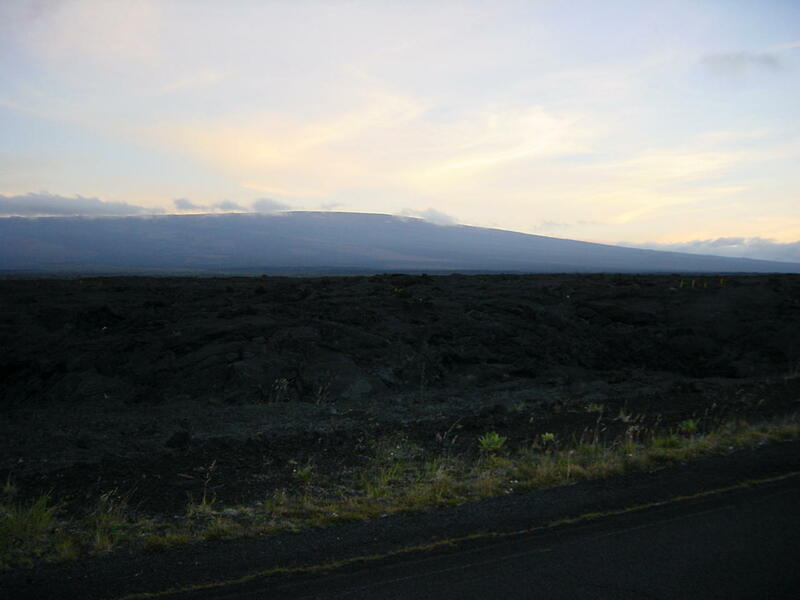 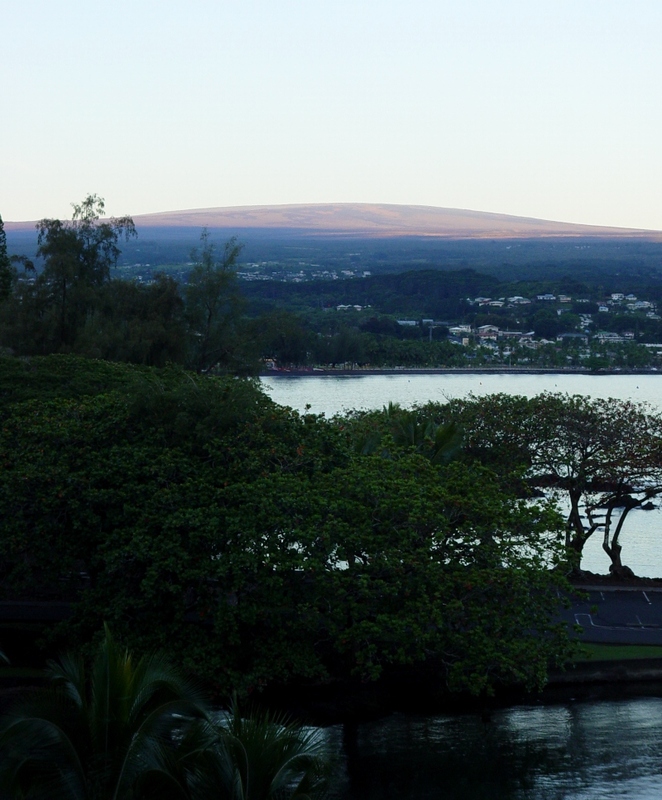 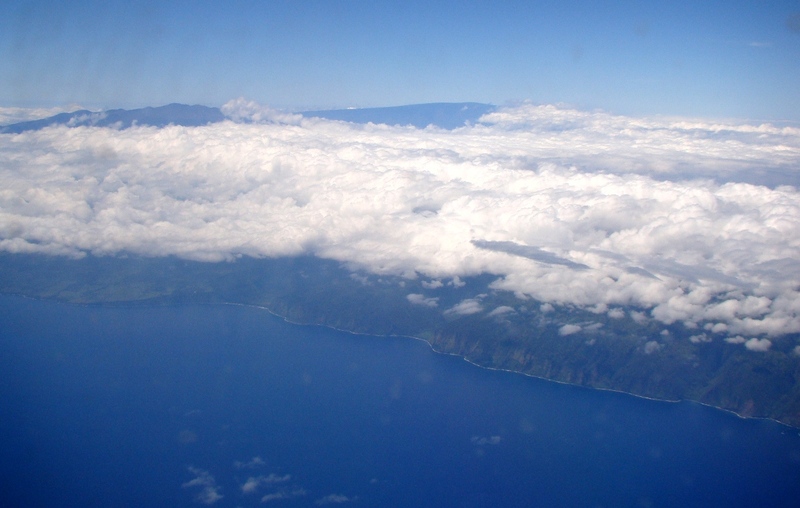 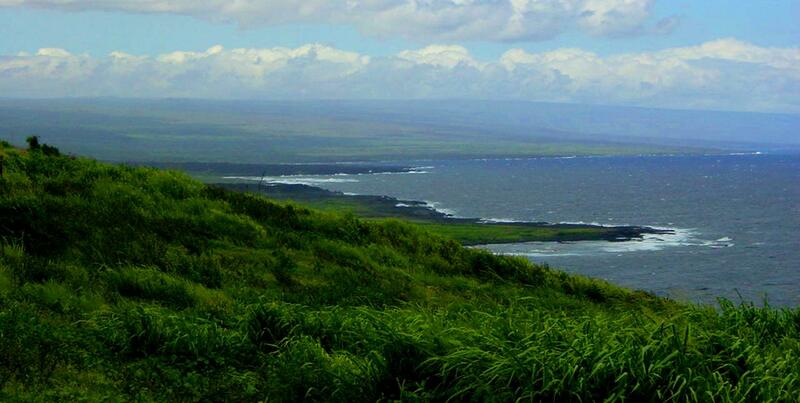 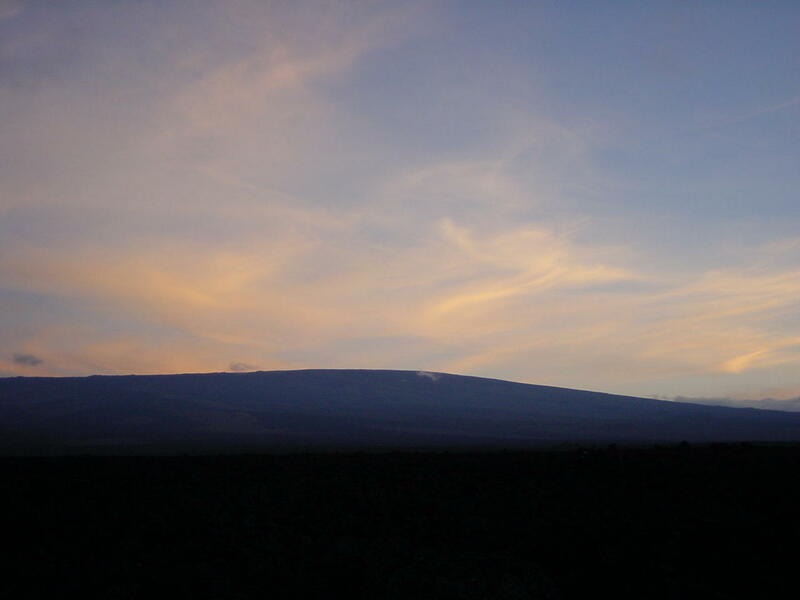 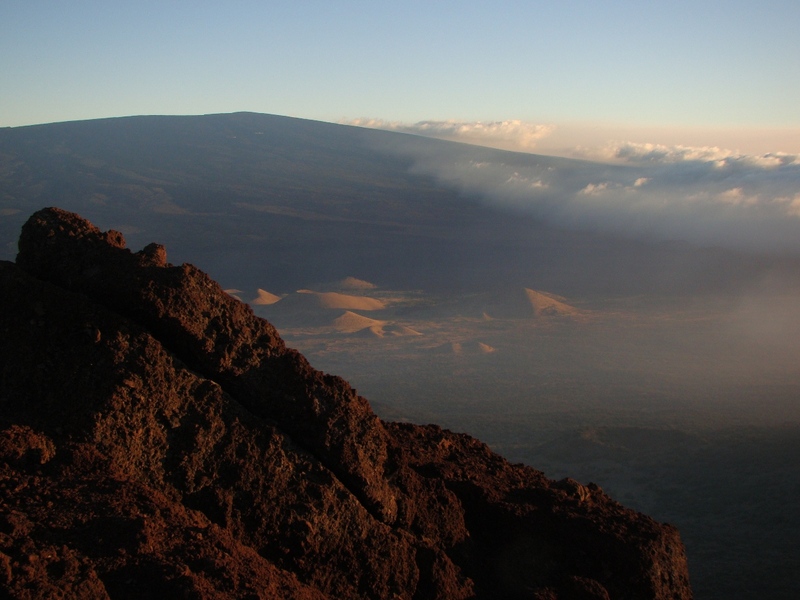 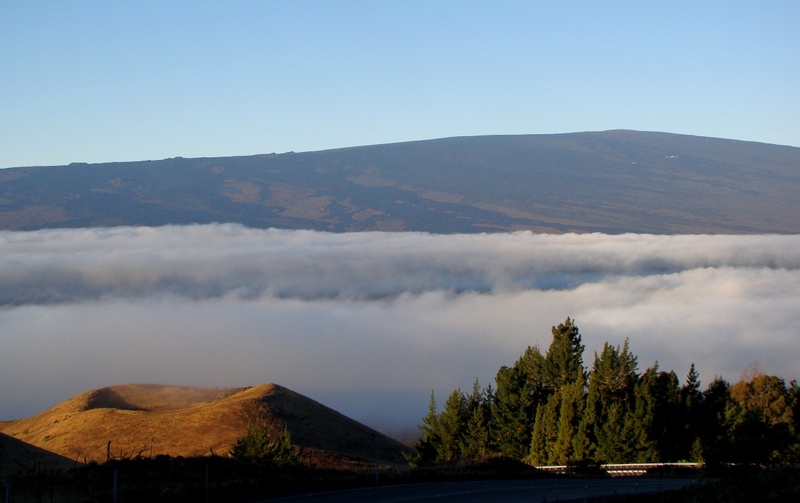 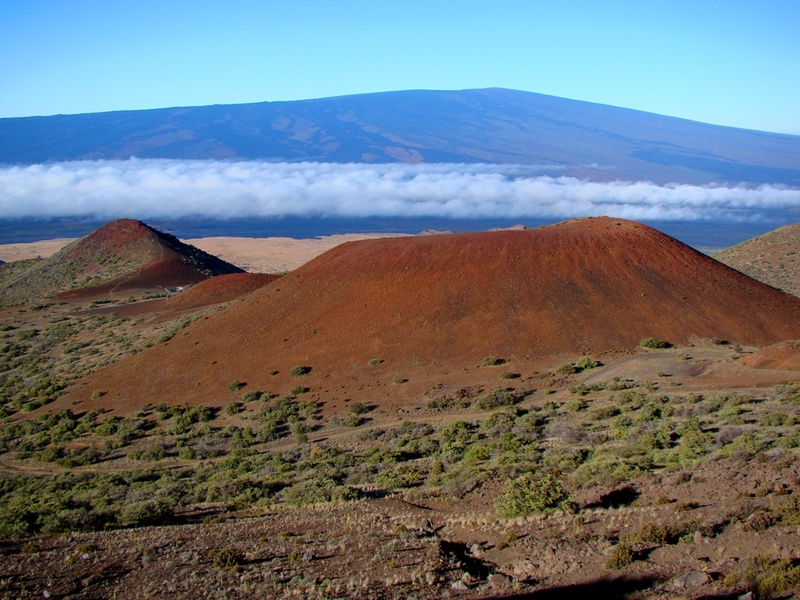 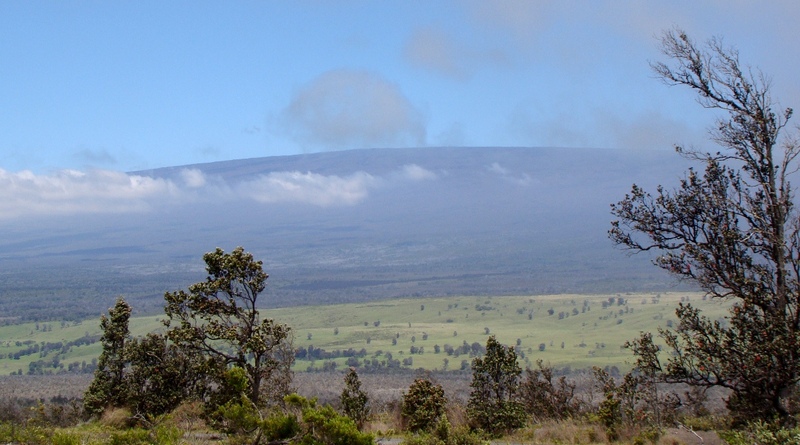 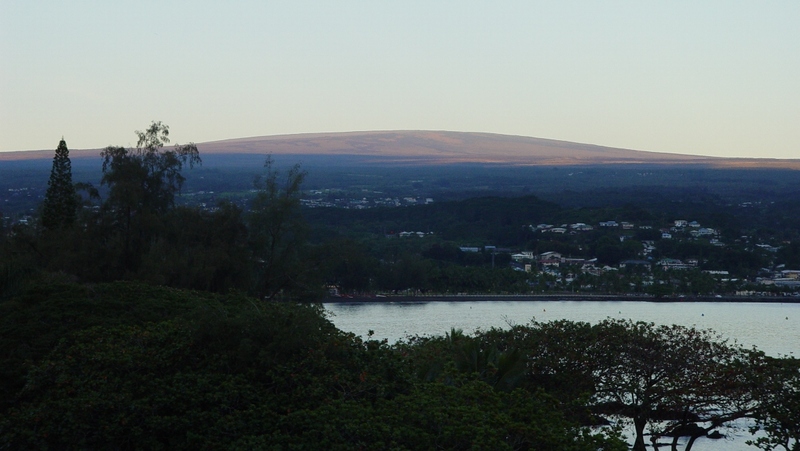 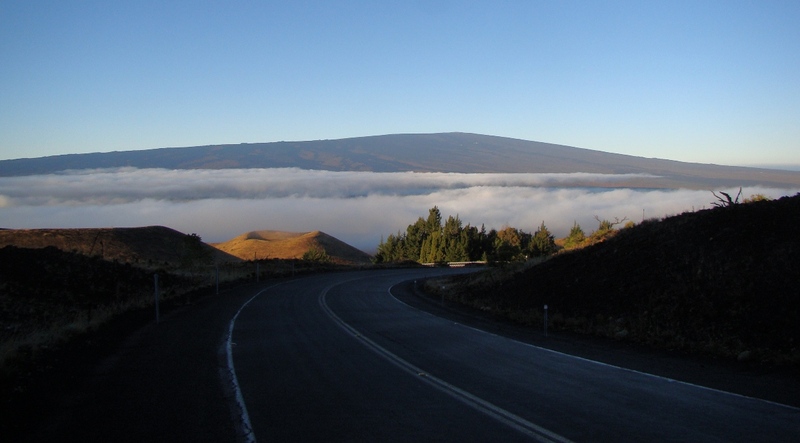 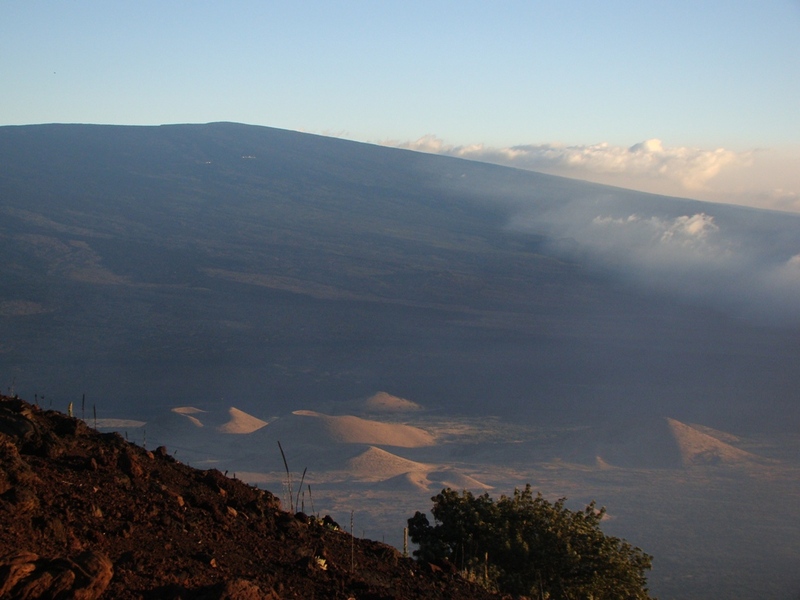 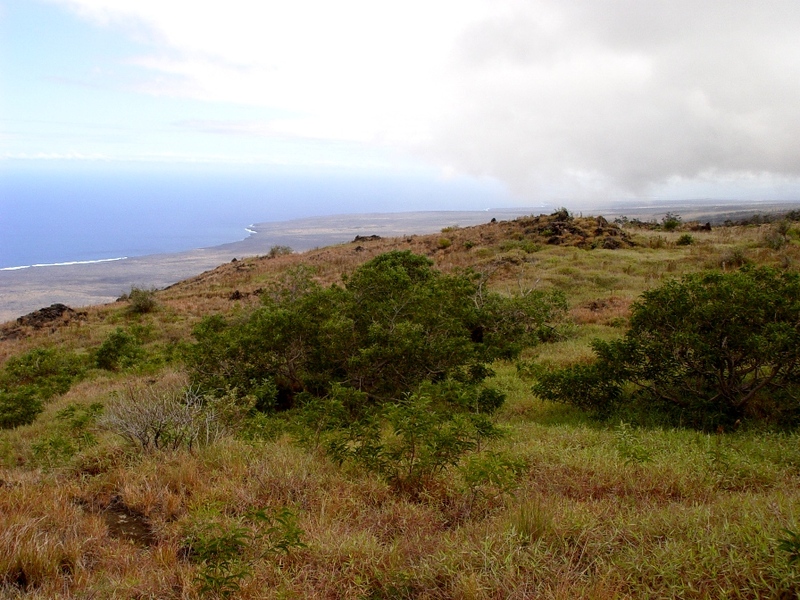 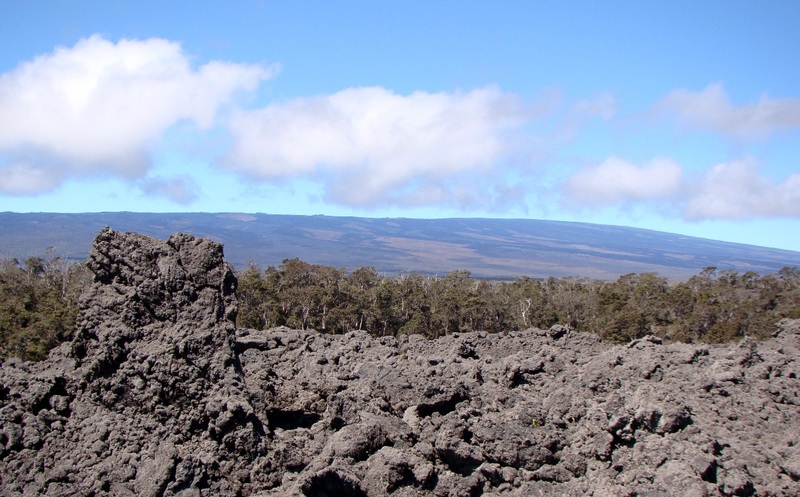 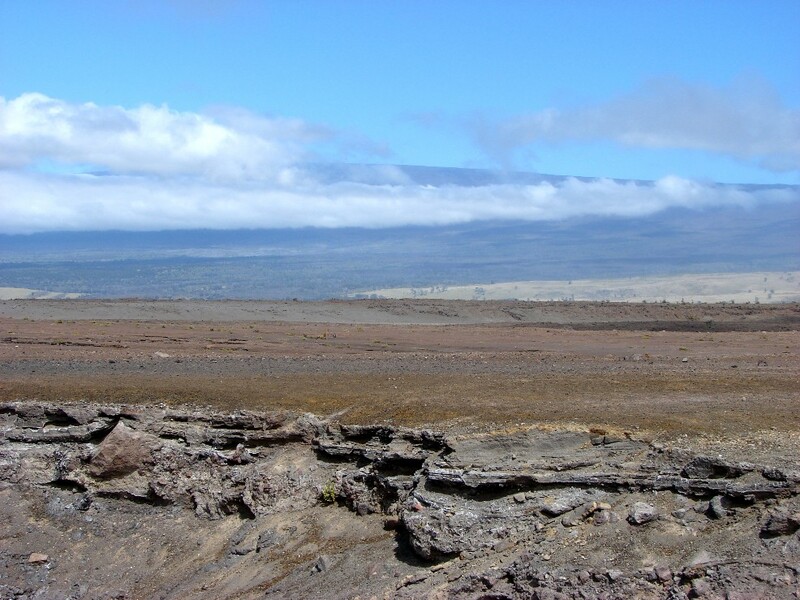 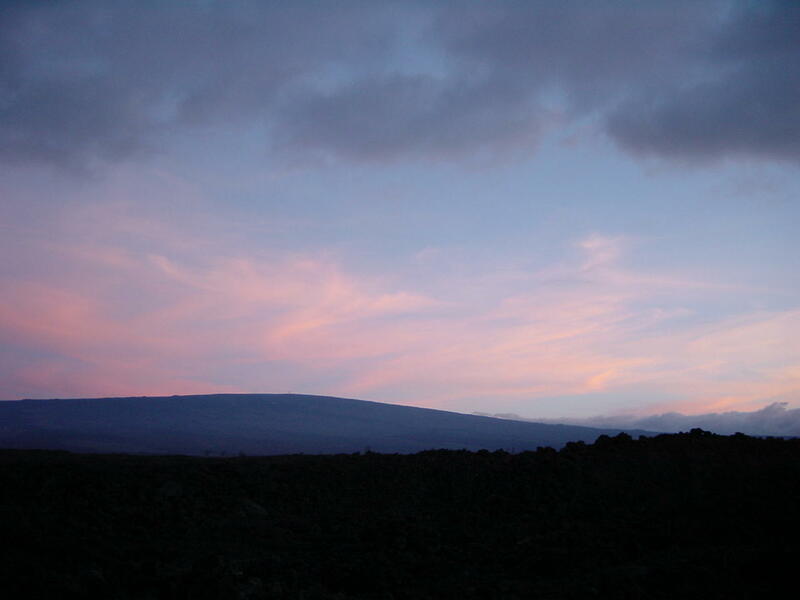 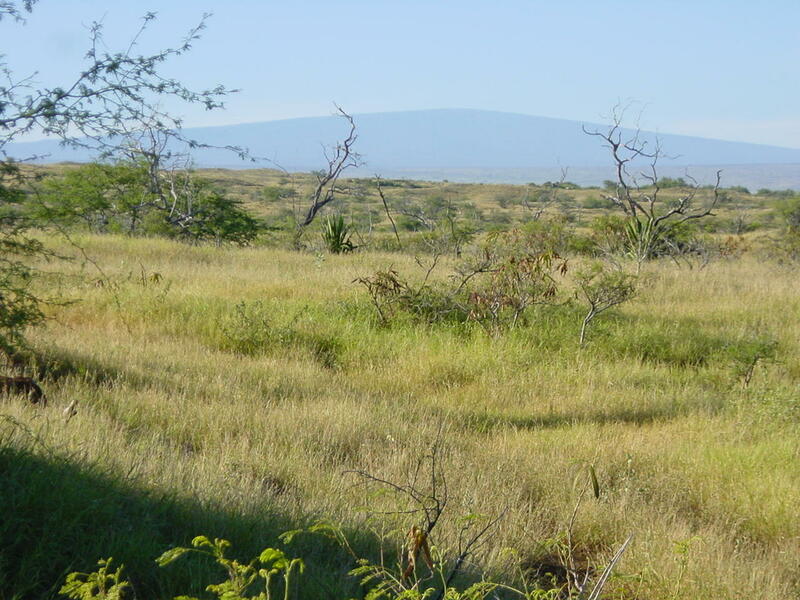 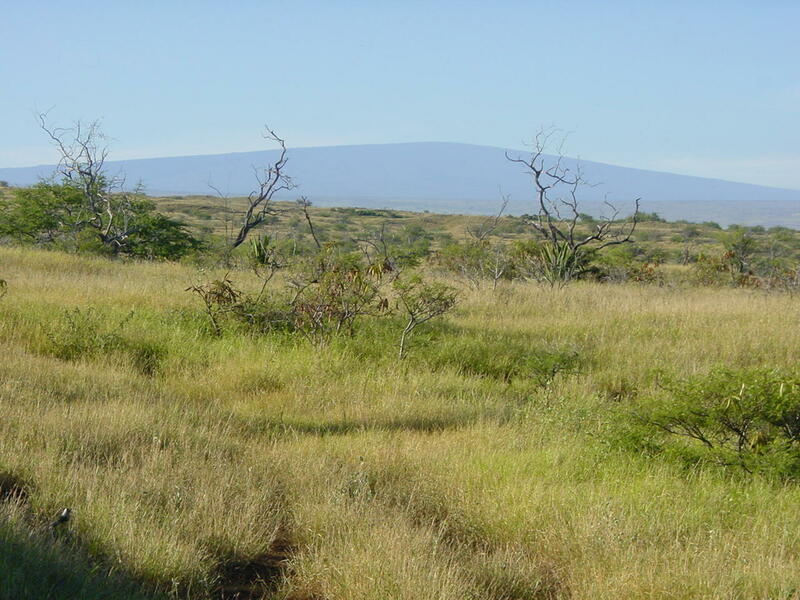 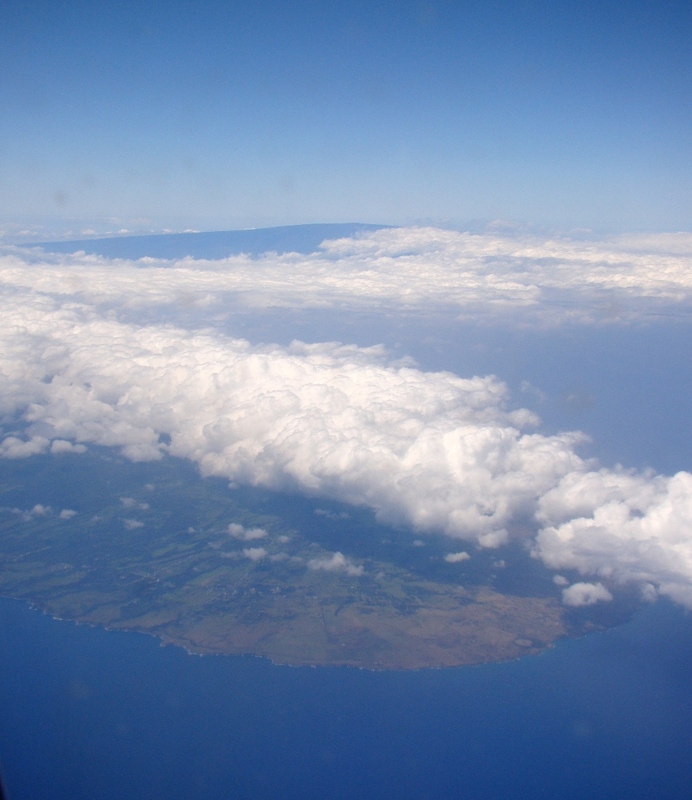 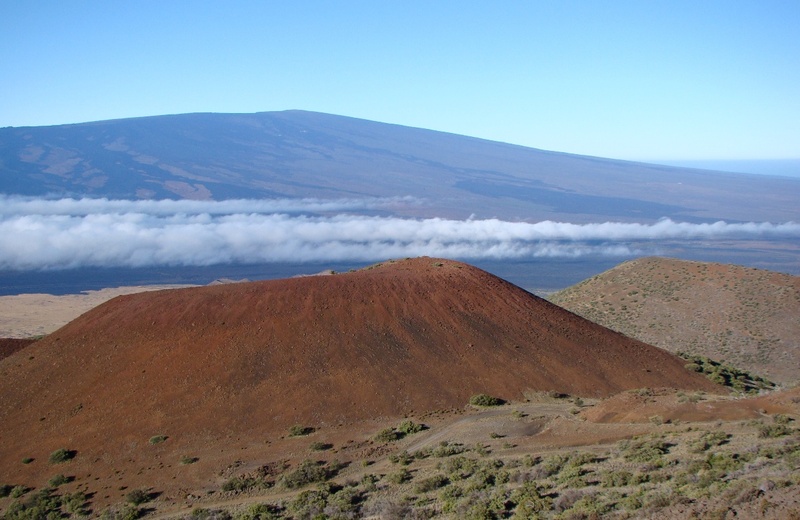 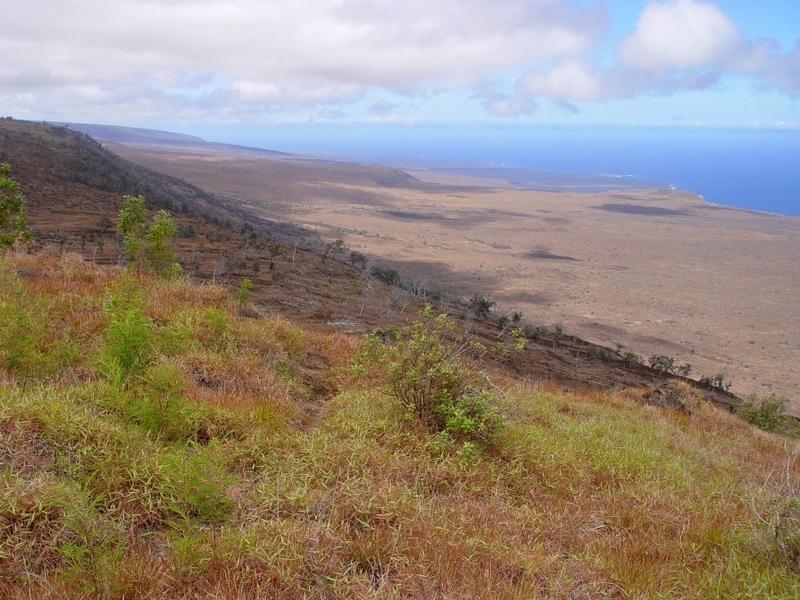 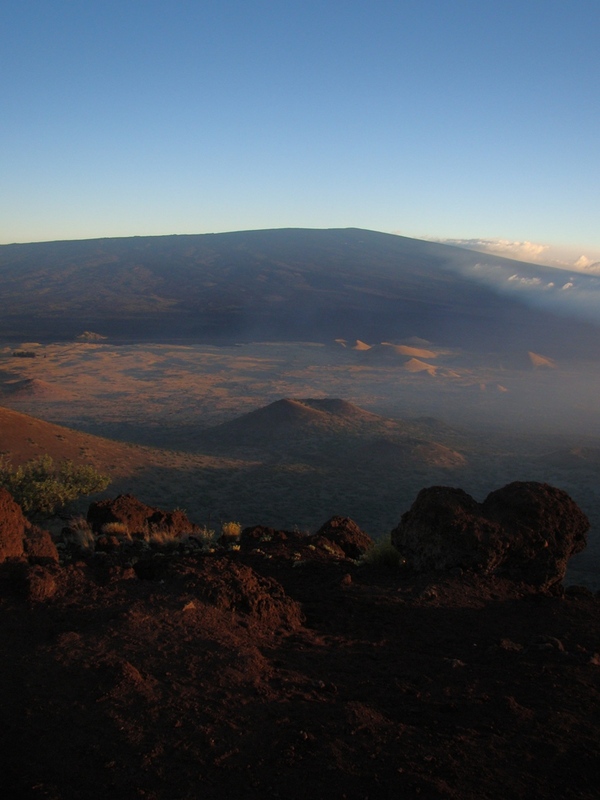 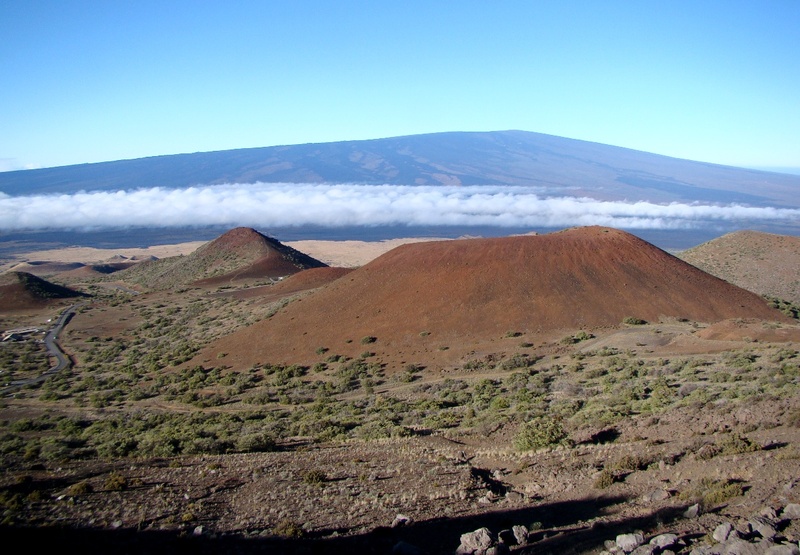 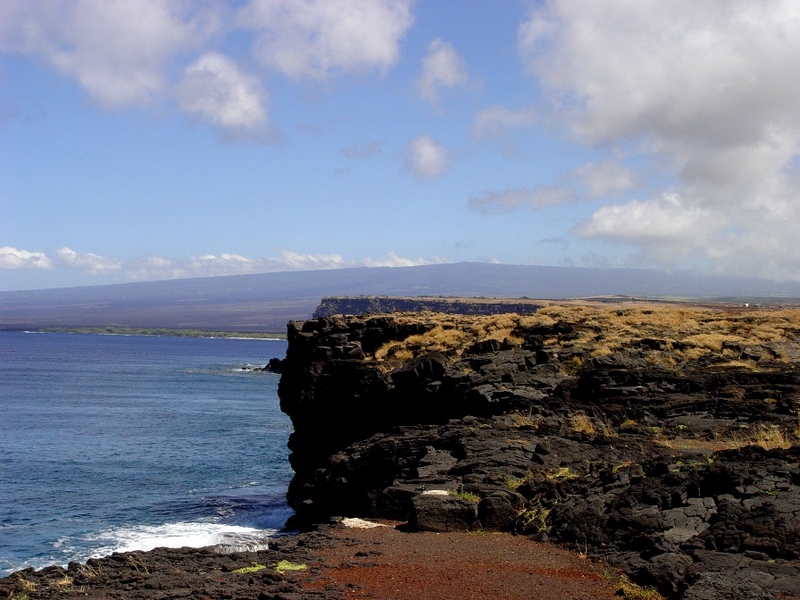 Mauna Loa, at almost 14,000 feet, dominates views of the Big Island. 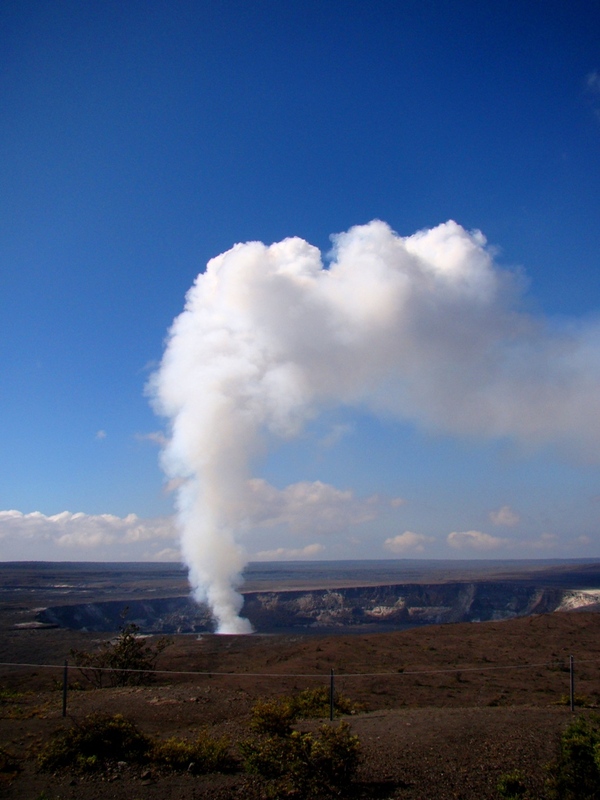 Both volcanoes are highly active; Kilauea has been erupting continuously since 1983, while Mauna Loa last erupted in 1984.